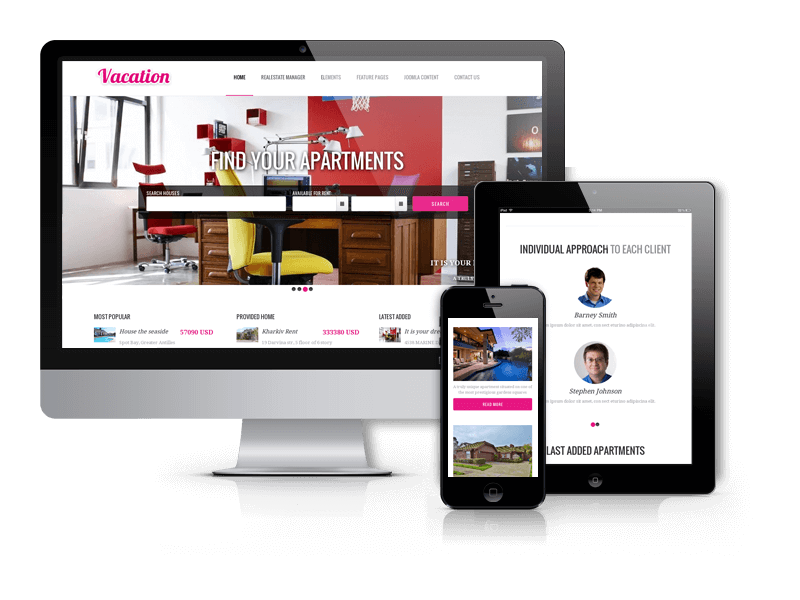 Due to release of Real Estate Manager, we bring you new and modern-looking Joomla real estate template Booking. 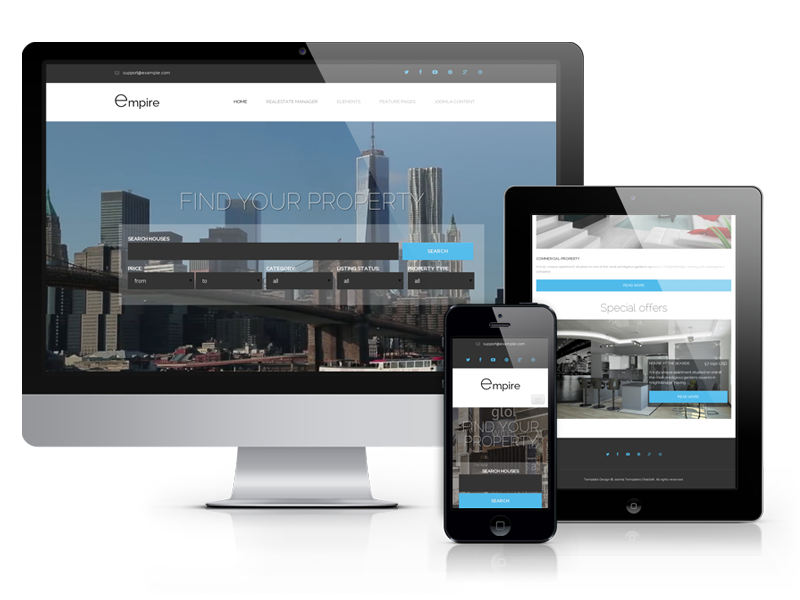 It is built on the REM and Joomla Blank template, so it includes a variety of useful features. 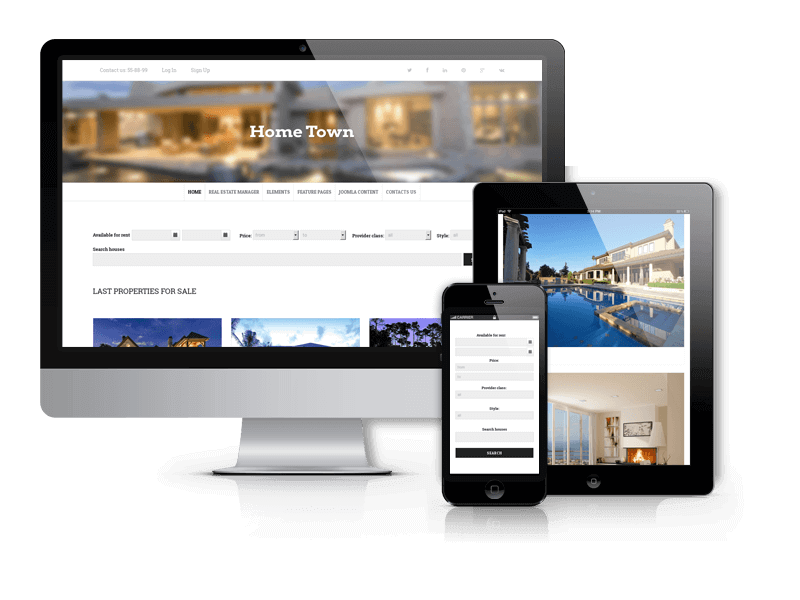 For instance, with Real Estate Manager you can easily manage all houses, categories, amenities, orders, import / export data (CSV, XML), manage languages and much more. 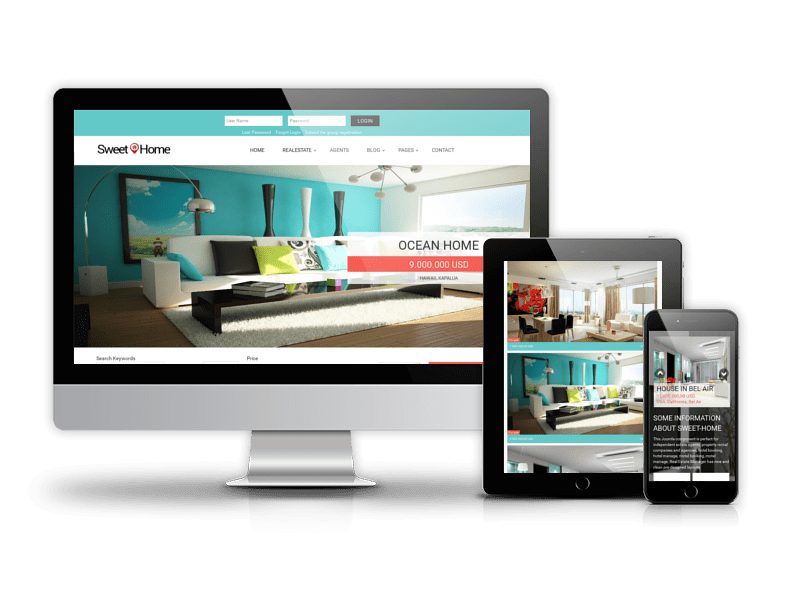 Joomla Blank template enables you to control Fonts (27 font styles), style of links, upload logo with ease, add copyright and Google tracking code via Joomla admin area. 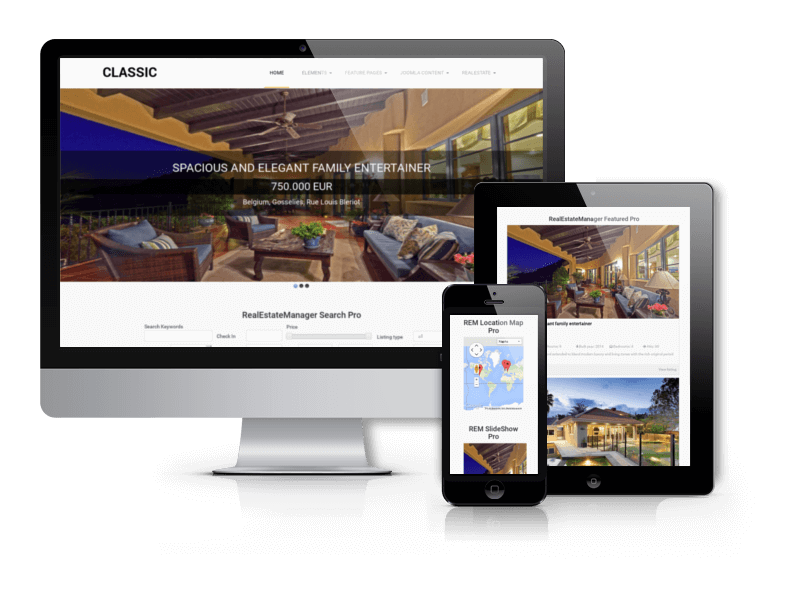 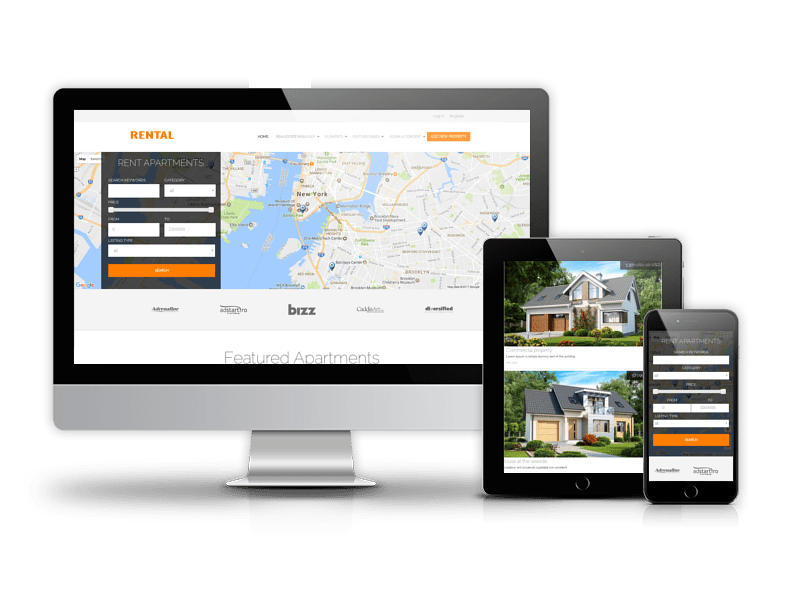 Booking Joomla template will be great choice for real estate websites that specializes in selling or renting property, real estate classifieds portals and websites of individual real estate agents and brokers who want to manage properties online. 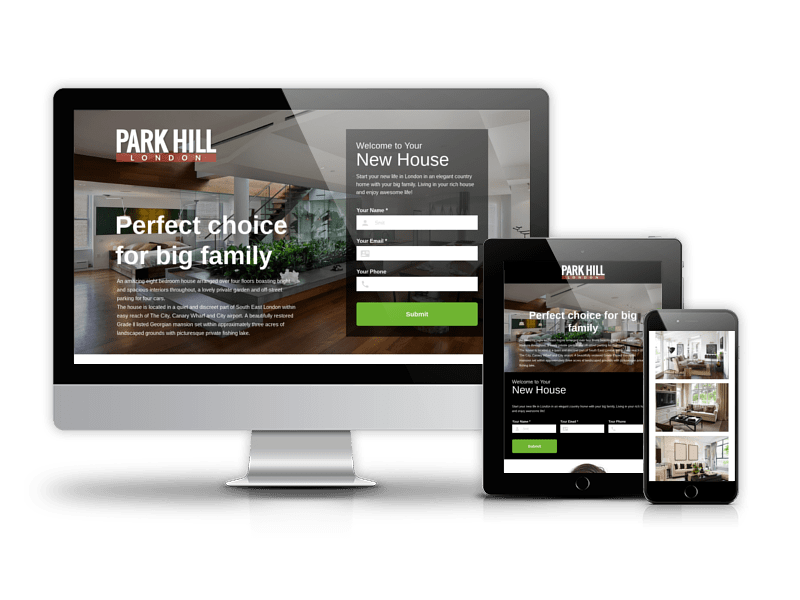 Well structured frontend view and original look will help to display all aspects of your real estate company - enticing and vivid search, slideshow with best apartments, some statistic of your real estate website, map with properties marked on it, last added properties and much more. 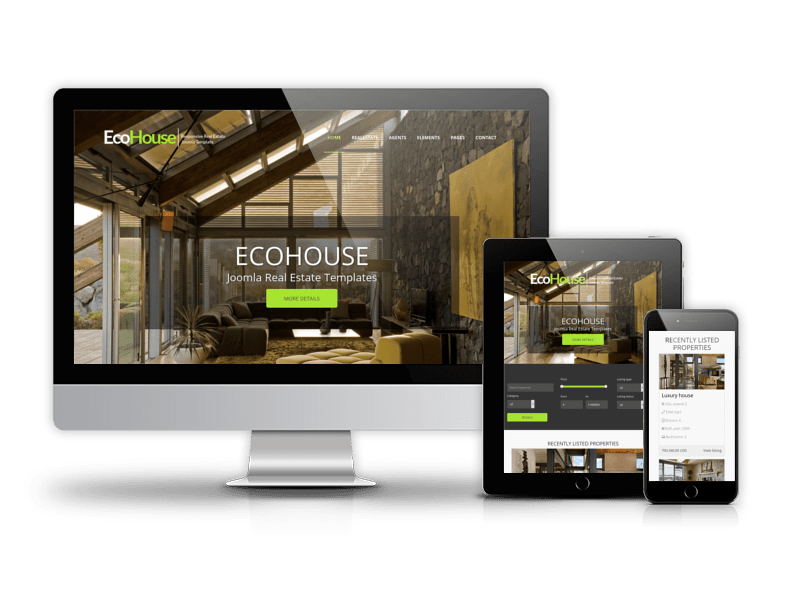 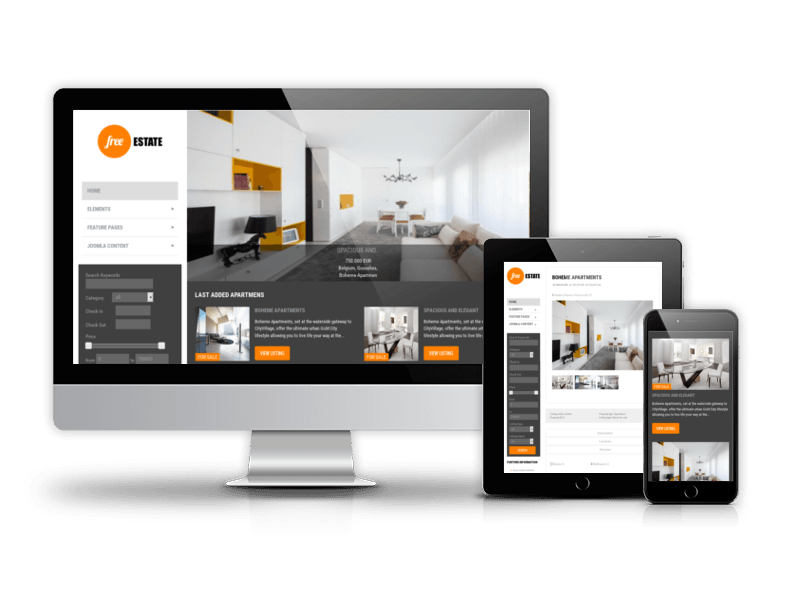 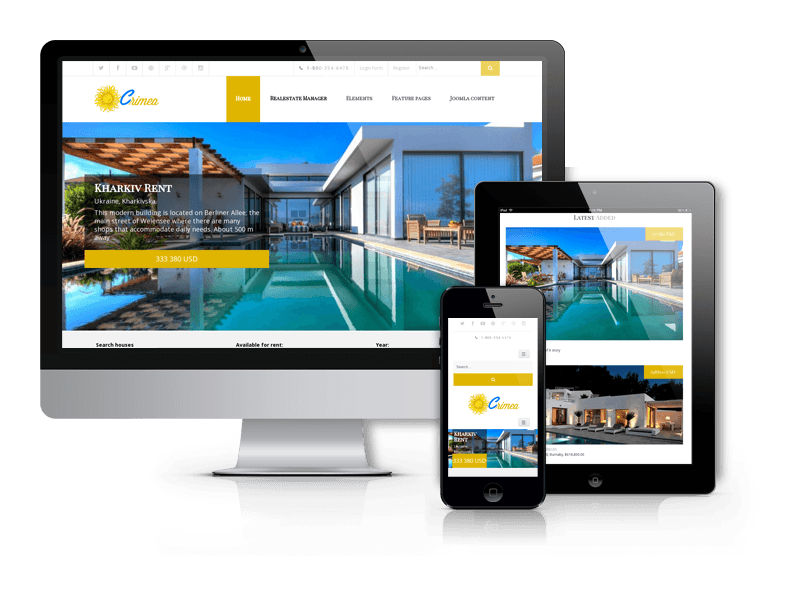 Don't miss a chance to build professional and nice-looking real estate website using Booking Joomla template. 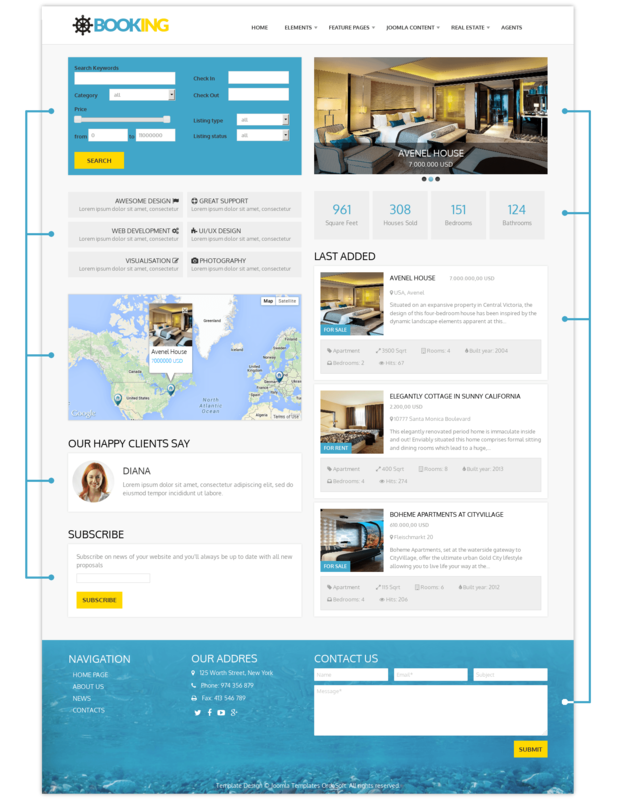 Booking Joomla template fully compatible with all browsers: Chrome, Firefox, Safari, Opera and Internet Explorer 9+.